I have just installed the version shown below to have a look at how it copes with BPMN 2.0 diagramming but I can only see UML diagramming stuff. How do I get to the BPMN diagramming tools? 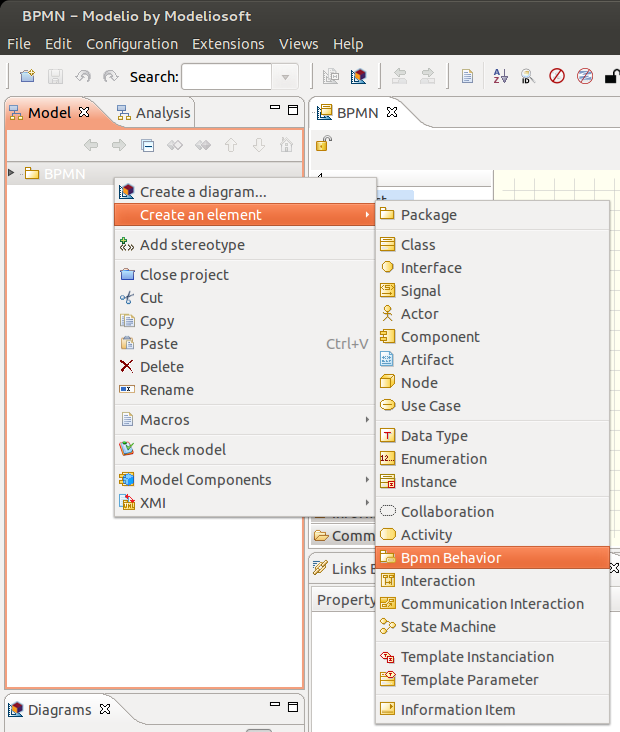 There is lots of talk of the free EA-BPM Modeler module but I can't seem to find a download for it anywhere. As you have probably guessed, I am new to Modelio so I will probably have loads more dumb questions to ask! 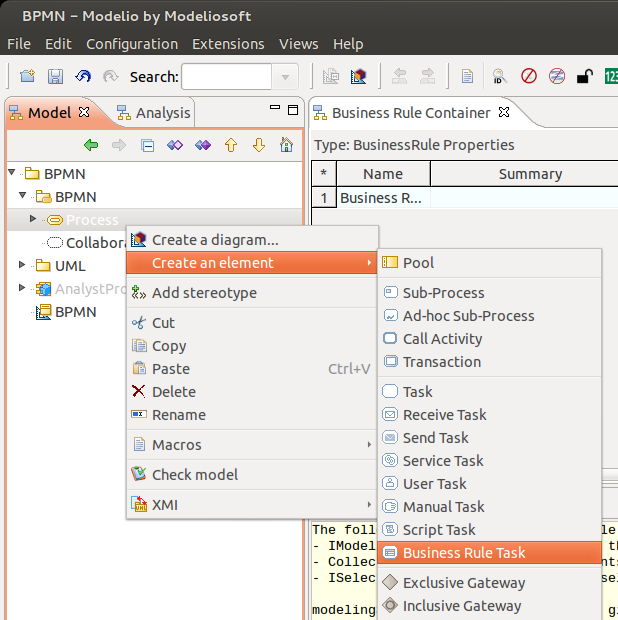 Then you can create BPMN diagrams. Now I just need to figure out how to include some actual business rules to a 'business rules' task (e.g. user must specify 'target date'). I will also need to export to a BPMN2 XML file (or eqivelent) so I can manipulate the process in other toolsets when required (e.g. an ERP vendor toolset). The inbuilt XMI export tool, however, does not work for BPMN models. Last Edit: 6 years 2 months ago by osl.